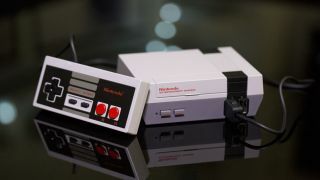 It’s a good day for Nintendo fans, the company has announced that the NES Classic Mini is going to be back in stock next summer. The hugely successful console in a tiny little case sold like proverbial hotcakes, leading to stock running out and prices on auction sites souring. While previously the company had said that shipments would cease at the end of this year, now the company is planning on shipping more units in 2018. Interestingly, the same thing has been happening with its followup, SNES Classic Mini that is routinely selling out every time more come into stock. But there’s good news for people who want one of these too. Nintendo is extending shipments of the SNES Classic Mini into 2018 too. And that’s not all. For UK Nintendo fans, Game is celebrating National Video Game Day (yes, there is a video game day) by reducing the price of the Nintendo Switch to £259.99.